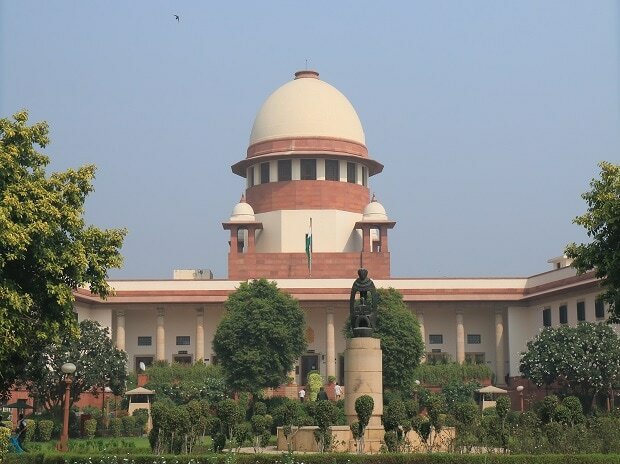 The Supreme Court Wednesday decided to hear on February 26 the politically sensitive Ayodhya's Ram-Janmabhoomi Babri Masjid land dispute matter. Justices Bhushan and Nazeer made a come back to hear the Ayodhya land dispute matter -- both were part of an earlier bench headed by then CJI Dipak Misra (now retired). It had on September 27, 2018, refused to refer to a five-judge Constitution Bench the reconsideration of the observation in its 1994 judgment that a mosque was not integral to Islam. While Misra and Bhushan had said it has to find out the context in which the five-judge bench had delivered the 1994 judgment, Justice Nazeer had given a minority verdict disagreeing with the two judges. On January 10, Justice Lalit had recused himself after expressing disinclination to participate in the hearing any further as he had appeared as a lawyer for former Uttar Pradesh chief minister Kalyan Singh in a related matter "sometime in the year 1997". Along with the main matters, the constitution bench will also hear the connected issues raised in separate petitions. The central government had on January 29 moved the apex court seeking its nod to return the 67-acre undisputed acquired land around the disputed site to original owners. The 0.313 acre plot, on which the disputed structure stood before it was demolished by 'kar sevaks' on December 6, 1992, was within the 2.77-acre disputed premises, the plea filed by the BJP-led NDA government had said. The Centre's plea has said that the RJN (a trust to promote construction of Ram Temple) had also sought return of excess land acquired to original owners. The Centre has claimed that only 0.313 acre of land was disputed on which the structure stood before it was demolished by 'kar sevaks' on December 6, 1992. The Centre has sought modification in its 2003 order and permission to return to original owners the 67 acres "non-disputed" land around the disputed structure in Ayodhya. A week after, another petition was filed challenging the constitutional validity of a 1993 central law by which the government acquired 67.703 acres of land, including the disputed premises of Ram Janambhoomi-Babri Masjid, in Ayodhya. The plea, challenging legislative competence of Parliament to acquire religious land. The petition, filed by seven individuals, including two Lucknow-based lawyers claiming to be devotees of Ram Lalla, has contended that Parliament had no legislative competence to acquire land belonging to the state. Moreover, it said, the state legislature has the exclusive power to make provisions relating to the management of affairs of religious institutions inside its territory. The petitioners, including lawyers Shishir Chaturvedi and Sanjay Mishra, has submitted that the Acquisition of Certain Areas of Ayodhya Act, 1993 infringes upon the right to religion of Hindus guaranteed and protected under Article 25 (freedom of conscience and free profession, practice and propagation of religion) of the Constitution. The plea has sought the court's direction restraining the Centre and the Uttar Pradesh government from interfering in "Puja, Darshan and performance of rituals at the places of worship situated within the land admeasuring 67.703 acres acquired under the Act particularly at the land belonging to Shri Ram Janam Bhoomi Nyas, Manas Bhavan, Sankat Mochan Mandir, Ram Janmasthan Temple, Janki Mahal and Katha Mandap". It also said that the law, by which the entire disputed and adjoining undisputed land was acquired, violated the freedom of the Hindus to practise their fundamental religious rights under Article 25 of the Constitution.